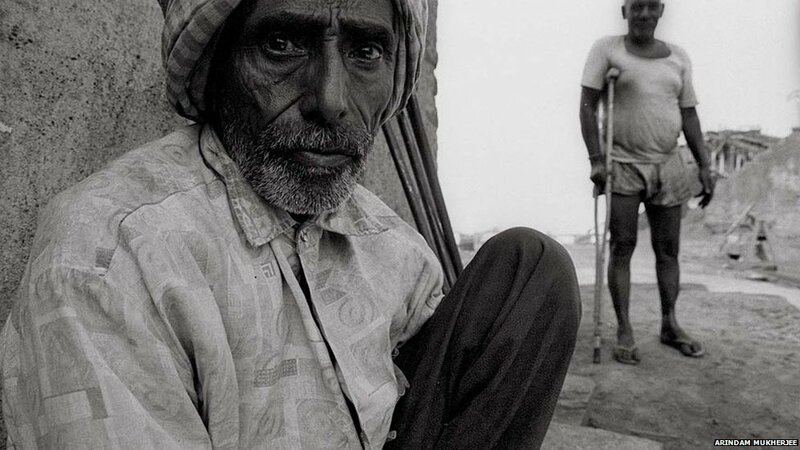 India is the world’s third largest coal producing nation and coal supplies 60% of the country’s energy needs, but the coal industry is poorly regulated. 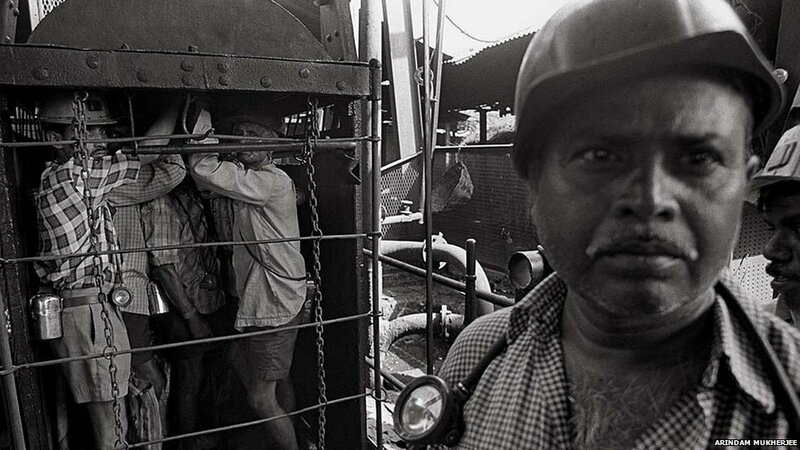 Arindam Mukherjee photographs some coal miners going about their work in eastern India. 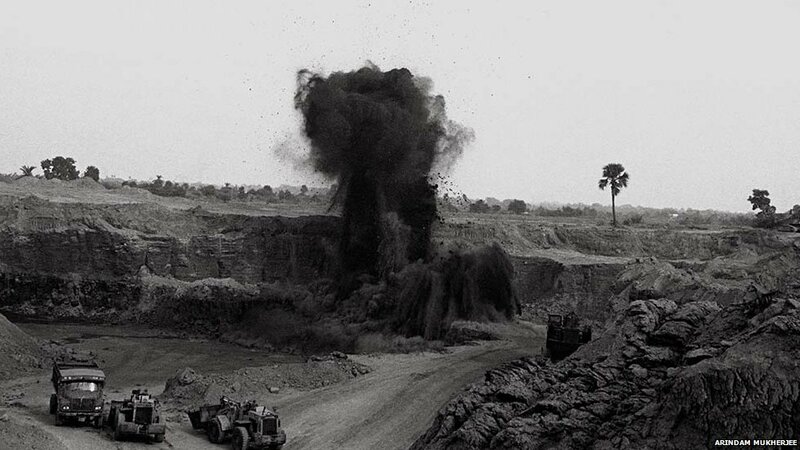 The coal-rich region in India includes huge swathes of eastern states like Orissa, Jharkhand, West Bengal and Chhattisgarh, and pockets in the central and southern parts of the country. Most miners spend their days tunnelling, digging and extracting coal from the mines. 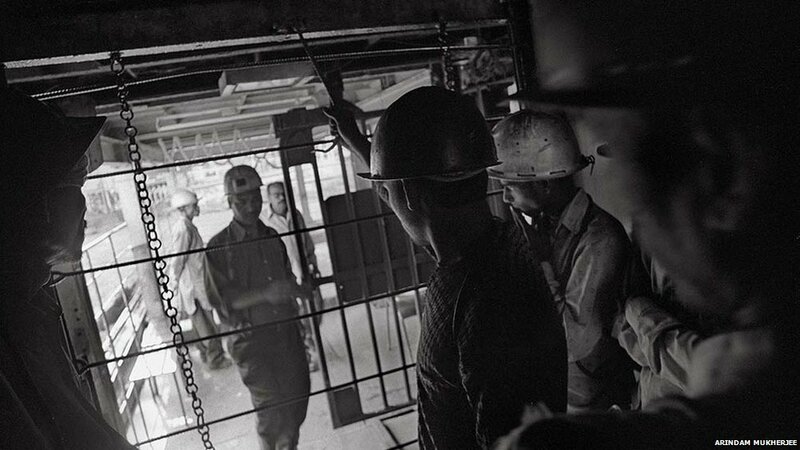 Here, a group of miners are at work in a mine in West Bengal state’s Raniganj district. Each group is led by a sardar (chief) who is responsible for the work of his group. More than half of India’s commercial energy needs are met by coal. It is the main fuel for generating power and making steel and cement. But mining is also a major factor in environment pollution, emitting smoke and noxious gases. 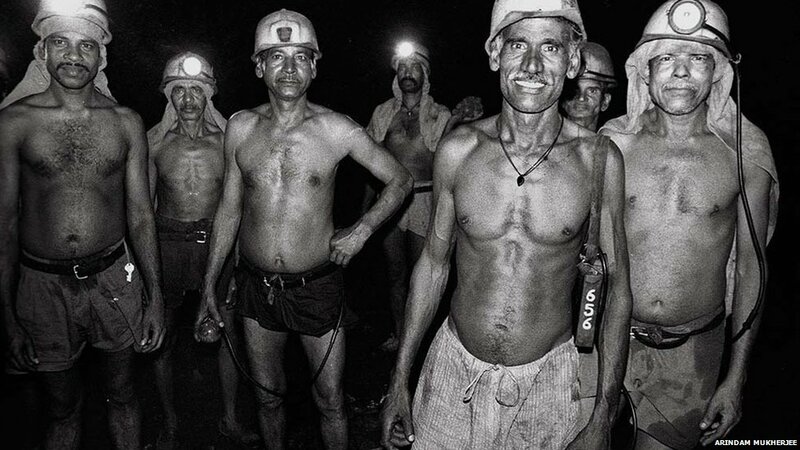 Many of the miners also suffer from lung diseases caused due to inhaling coal dust throughout the day. Coal mining can be a very hazardous activity and hundreds of miners have died over the years in accidents in mines. Poor maintenance of the mines is a major factor behind frequent accidents. 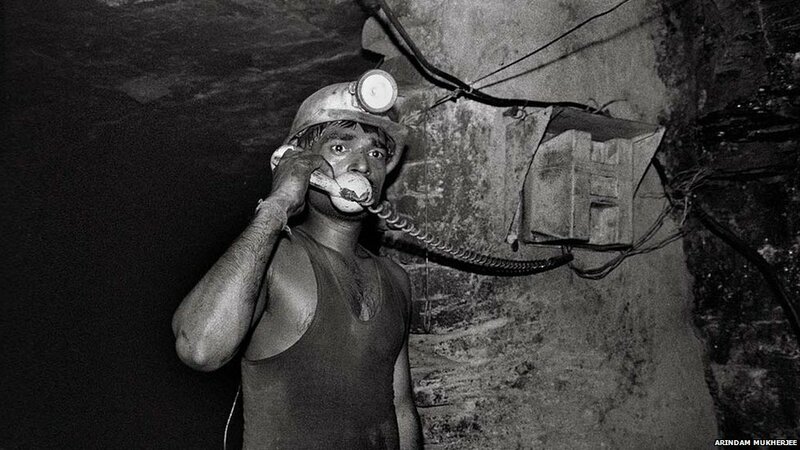 Once underground, the only way a miner can communicate with the outside world is by using an intercom. 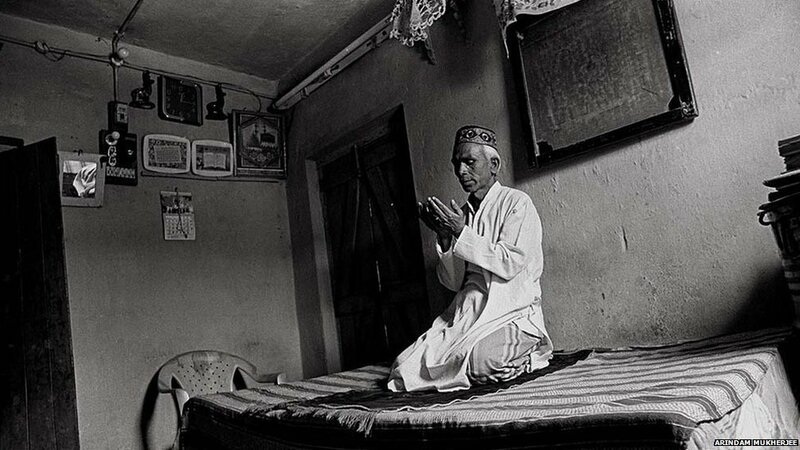 Sunita Devi’s husband Santraj Prasad was killed along with 25 others in February 2001 when the Bagdigi colliery in Jharkhand was flooded. She now works as a guard at a mine officer’s bungalow in the nearby town of Jharia. 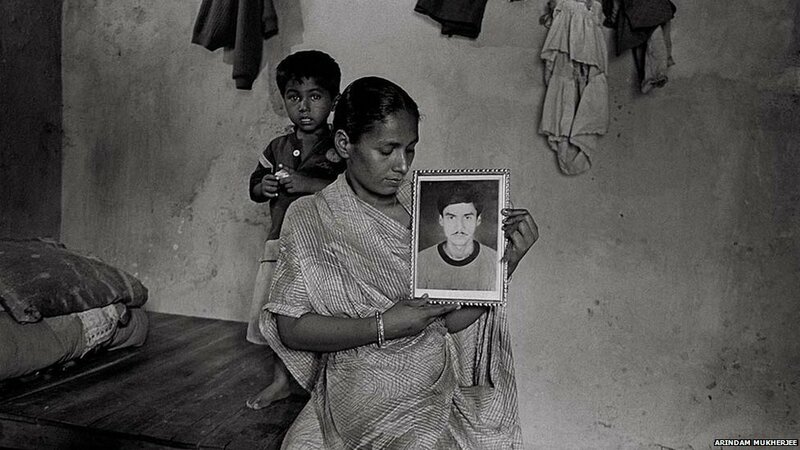 Here, she sits at her home with her late husband’s photograph and one of her children. 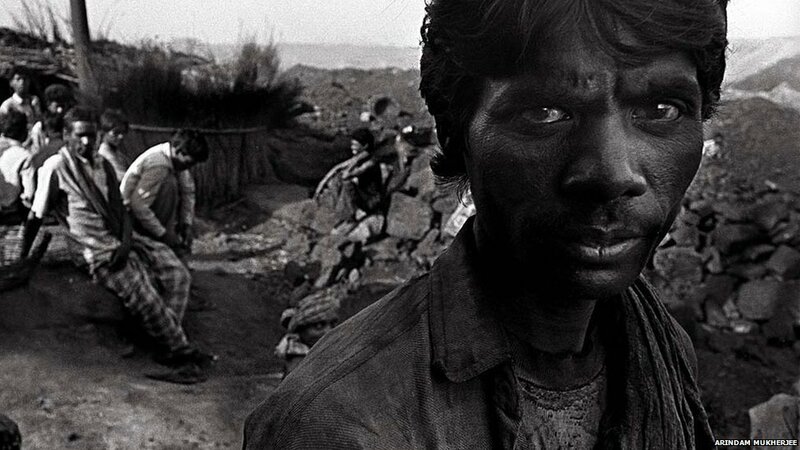 Miner Salim Ansari was the lone survivor of the Bagdigi disaster in which 26 of his colleagues died. He was trapped in an underground air pocket for seven days until rescue workers found him and brought him out. 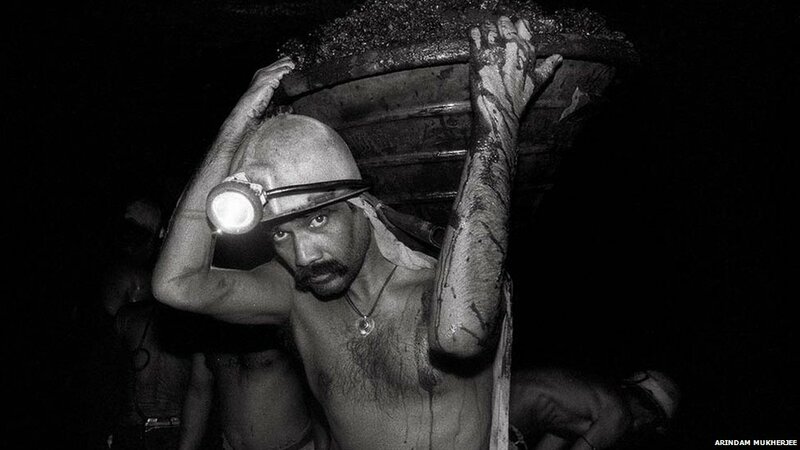 Lakhan Tanti works as a loader at the government-owned Coal India Limited mine in Ranigunj in West Bengal. He says the company is now hiring contractual labourers instead of salaried employees to cut costs. Coal mines, like this one in the state of Jharkhand, have multiple floors where excavation takes place and often operate 24 hours a day. Here, a group of miners are going deep inside an underground mine to begin work. 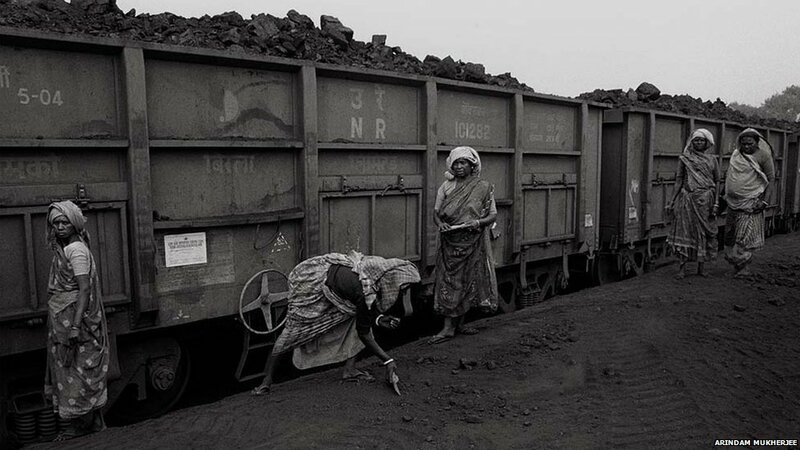 Female labourers are hired to clean and collect coal near the railway line in Bailbandh colliery in Ranigunj. The women are mostly dependents of deceased miners and are employed on humanitarian grounds after the death of their husbands.